1.5 In this policy, "we", "us" and "our" refer to Carolyn Eynon Signers. For more information about us, see Section 13. 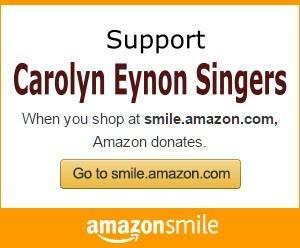 13.1 This website is owned and operated by Carolyn Eynon Singers. 14.1 Our data protection officer's contact details are: president@cesingers.com.